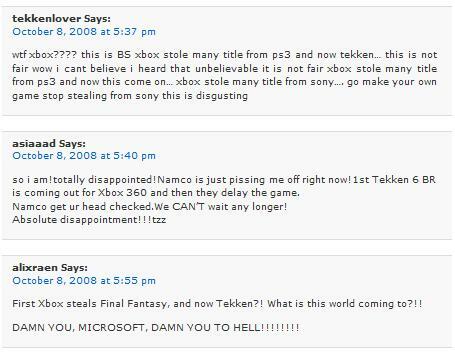 TEKKEN 6 IS ON XBOX 360 -GAY!!! 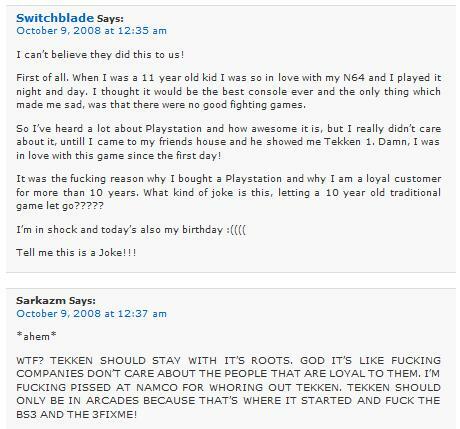 Tekken 6 used to be Playstation only. 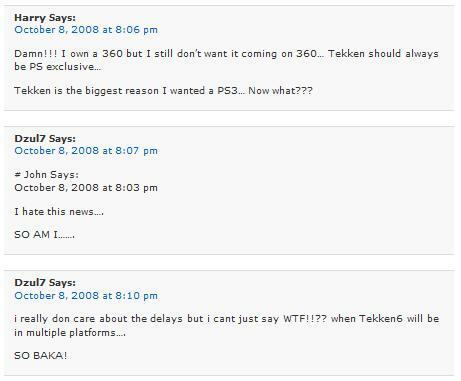 But then late on in 2008 it turned out that Tekken 6 is also on Xbox 360! 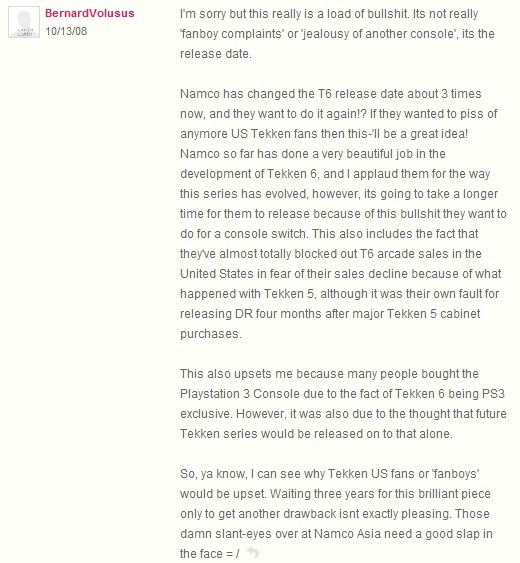 People who liked Sony were not happy. 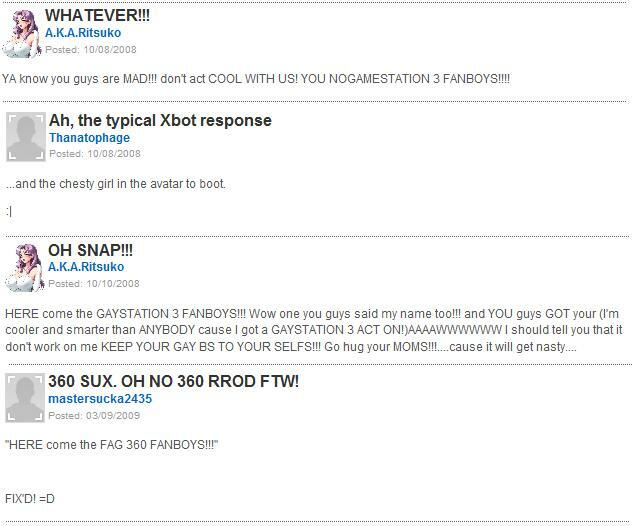 Have a look at some of the brilliant reactions from Playstation fanboys, and there are also some kind words from 360 worshippers. 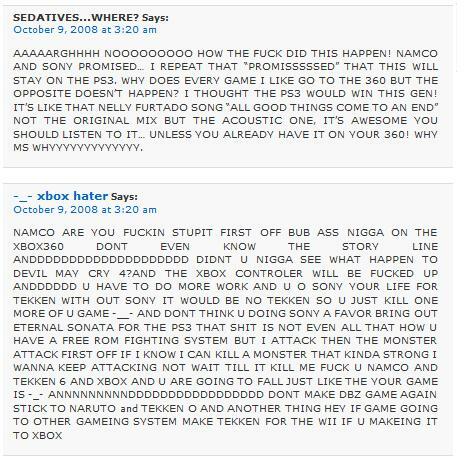 Even people reading this page got angry. 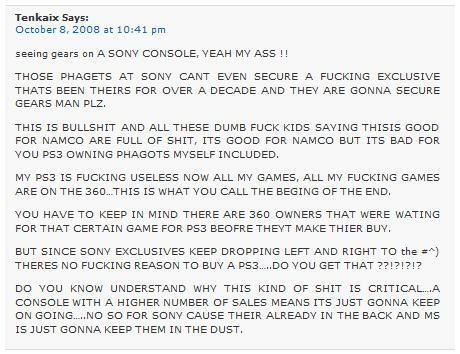 Such as this idiot, Demonic Piñata, who refers to my site as a "shithole". 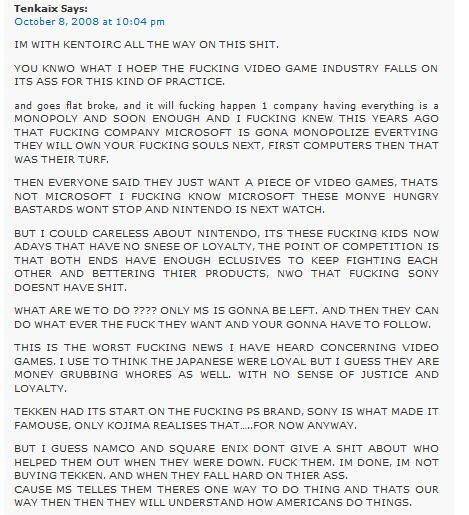 He says he doesn't like Tekken but you can just tell he jerked off to his Asuka figurine every night before this announcement was made.